Flower essences contain the vibration / imprint (energy) of the plant. It helps bring us into a state of resonance with our true essence, our perfect-self our God-self within. Since this is energy at work; these essences are more powerful than herbs or other extracts. The body has a complex electrical system that is present in and connects with every cell. When this system is compromised by various stresses, traumas and unhealthy situations in life, these circuits break down and cause the physical, mental, emotional and spiritual imbalances and malfunctions. Flower essences help to reconnect these circuits on a cellular level and allow the body to return to a state of balance and health. Rescue Remedy is the most commonly known and used. It helps to deal with any emergency or stressful event. Taking a driving test, exam nerves, speaking in public, after an accident or an argument - there are countless uses for Rescue Remedy, it helps people, and animals. Bach flower remedies address primarily the emotional level of consciousness. Dr. Bach believed that the primary cause of each illness comes from unbalanced and/or extreme emotions. He discovered that specific flower essence balances specific zodiac sign personality type, contributing to well being, spiritual growth and personal satisfaction. Rescue Remedies - emergency or stressful event. Taking a driving test, exam nerves, speaking in public, after an accident or an argument - there are countless uses for Rescue Remedy. "Dr Edward Bach studied medicine at the University College Hospital, London, and was a House Surgeon there. He worked in general practice, and as a bacteriologist and as a pathologist. He worked on vaccines and a set of homoeopathic nosodes still known as the seven Bach nosodes. Despite the success of his work with orthodox medicine he felt dissatisfied with the way doctors were expected to concentrate on diseases and ignore the people who were suffering them. He was inspired by his work with homoeopathy but wanted to find remedies that would be purer and less reliant on the products of disease. So in 1930 he gave up his lucrative Harley Street practice and left London, determined to devote the rest of his life to the new system of medicine that he was sure could be found in nature. 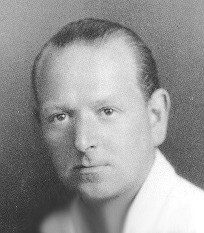 Dr Bach passed away peacefully on the evening of November 27th, 1936. He was only 50 years old, but he had left behind him several lifetime's experience and effort, and a system of medicine that is now used all over the world."